I can’t believe it’s already December. I’ve had a bit of an unfortunate start to the winter season; the cold has finally caught up with the Bay Area, just in time for my thermostat to stop working. Before you ask, yes, I hit my heater repeatedly in an attempt to fix it. No, it did not work. That being said, I’ve spent many of my evenings at home lately wrapped up in my favorite heated blanket, pinning things on Pinterest for a much longer time than is healthy. I’ll admit it, I’ve finally caught the Pinterest bug and an intervention might be necessary sometime soon (in the meantime, you can find my Pinterest page here). I don’t know about you, dear readers, but I’m just about ready to be done with this year. Hellooooo 2016! To start, I’ll just take a functioning heater. And with that rambling introduction, I give you this week’s Five Things! Those of you who know me, know that I spend approximately 50% of my life in active wear or a leotard. Although quite pricey, some of the pieces I have from Lululemon are my tried and true favorites. I still frequently wear the very first jacket I ever purchased from them six years ago. This top, the Swiftly Tech Long-sleeve Crew, is my latest find. And I love the color- cant’ you tell? I somehow ended up in their dressing rooms wearing all violet/navy things without meaning to! The little island I live on might not have much in the way of nightlife, but we do have one of the very best tiki bars in the Bay Area. If you’re ever around, Forbidden Island is a must. 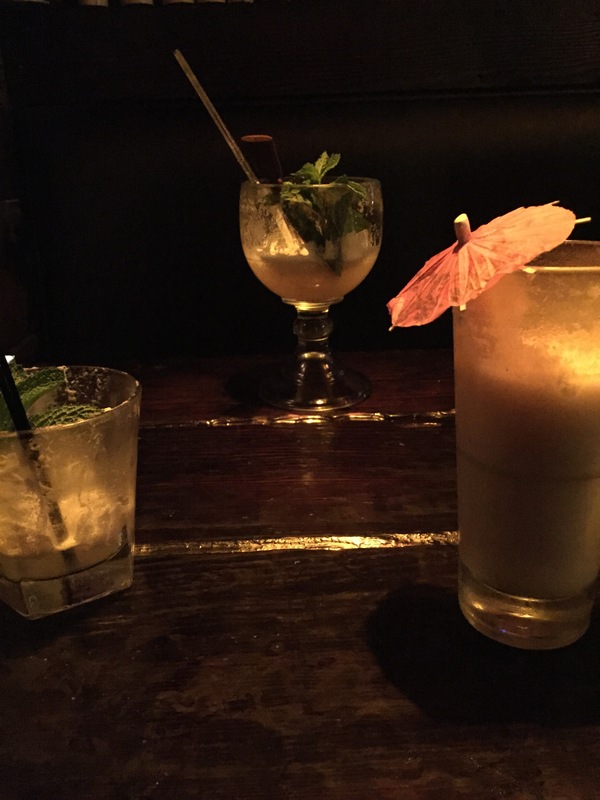 From left to right, I give you the Monkeypod, the Boo-Loo, and the infamous and delicious Painkiller. Commuting can shave years off of your life, but being able to hop on a ferry and see this lovely view every week certainly makes up for it. Why spend time underground or stuck in traffic when you can bob along in the bay? They even have doughnuts. Ssh! It’s a secret. 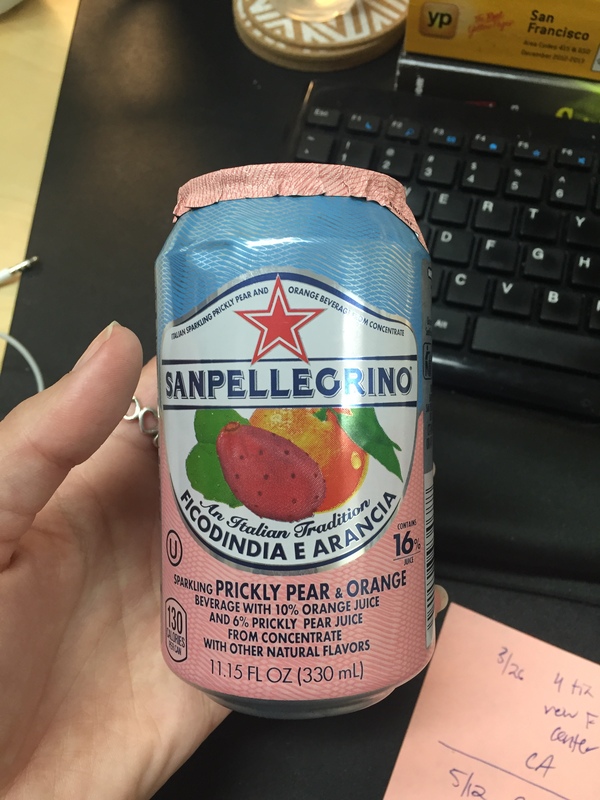 These drinks from San Pellegrino have become some of my favorites lately. Bonus: they come in many flavors, all tasty. It’s easy enough to find your standard lemon or orange flavors in the grocery store, but some of my favorites include clementine, grapefruit, blood orange, and this rare prickly pear flavor! This peach-colored can did wonders for perking up an otherwise dull work day. Oh, hello beautiful shoes. 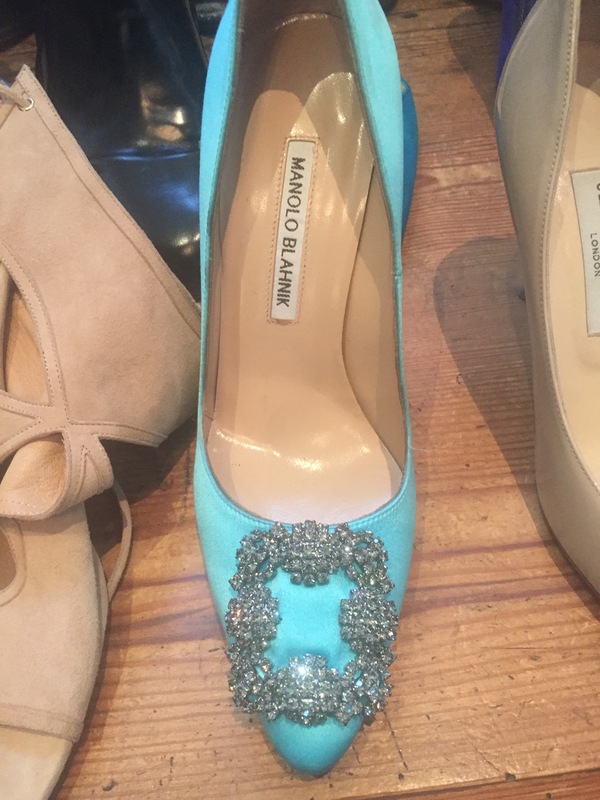 Unfortunately, these were no where near my size, so I had to settle for admiring them. At more than 50% off I started going through the list of friends I could potentially call who wore a size 6 1/2. What a steal! Also, in case you haven’t guessed it, I am most certainly the friend that enables extravagant purchases.